The classic platform title Bonk’s Adventure is set to make a return with the game recently rated by the ESRB for the Wii U Virtual Console. 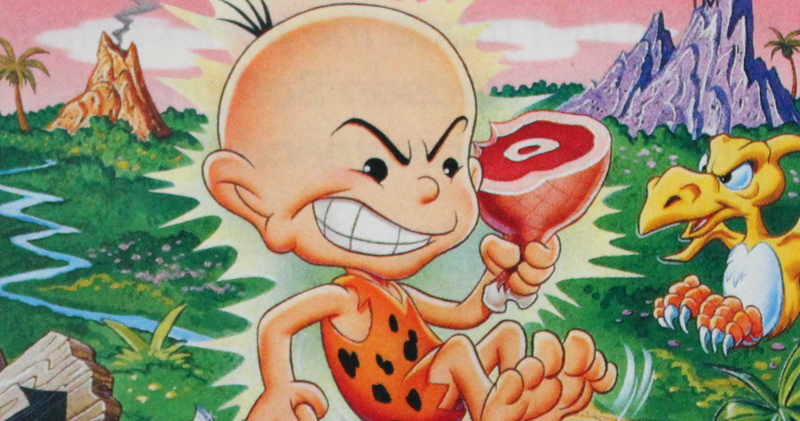 Starring a strong and bald cave boy who goes on an adventure to rescue a princess, the charming title developed by Red Company and Atlus was originally released on the Turbografx-16 system in Japan in 1989. It was later re-released in the US in 1992, and from there was ported to several systems including the NES and Game Boy. The title has since appeared on the GameCube as part of a special collection, and received a digital revival in 2006 when it was released on the Wii Virtual Console under the Turbografx-16 banner. Let us know in the comments if you would be interested in reliving the past and if you think this title marks the return of Turbografx-16 games on Nintendo's digital store. I take it we're getting this over Wild Gunman and Hogan's Alley. Figures. As long as this means we also get Bonk's Revenge and a few others, great. Reminds me of Chuck Rock a little, that would be a good one to get on there to. This is big news b/c it is the first. Bringing back Turbografx-16 games seems almost... Direct worthy... wouldn't you say? Bring back Genesis while you're at it. Genesis would be good, hopefully they release the 60Hz versions for the PAL regions if they do bring it back. Yes!!! This is the best gaming news Ive read all day!! Every chance this will just be the NES port.Saying that,with those rumours of Master System games coming soon,maybe the VC is about to open up to new systems?I would literally jump for joy if Mega CD,32X,Saturn and Dreamcast games were added. We're doubtless getting the NES version. Nintendo isn't concerned with having a strong (or even interesting) Virtual Console on Wii U. Maybe we can get back to the golden days of the Wii (did we ever think that would be a clause we could say with a straight face?) when the NX comes to town. At first I was really excited thinking we are gonna get TG16 games again, but most likely we are gonna get the NES version instead. Even though TG16 games are available on the Japanese Wii U VC, I don't think NoA or NoE is interested in launching a new VC system. I would still buy the NES port of this game though. @OorWullie - Where have you heard rumors of Master System games coming? As far as I know Japan doesn't even have Genesis/Mega Drive games on their VC. Other than a handful of GBA games, Sega hasn't really supported the VC this time around, sadly. @brooks83 Calling them 'rumours' was probably an exaggeration on my part,more likely one guys fantasy. According to the ESRB, it's the same version released on PSP, PS3, and Wii. It's defs the Turbo version. Always nice to see support for the Virtual Console. I remember playing this on the Amiga - it was called BC Kid. Great game, and actually far more playable than Chuck Rock (or its sequel, which similarly starred a cave-baby). I've been struggling with storage on my Wii U- I reached the 300 title limit a good while ago, so although I would be nice to have the TG-16 games on Wii U, I would have to delete other VC games to make room for them. Nintendo have placed a 300 game limit on downloads? Could be the NES version. On the other hand, if the TGX16 makes a return, Bonk would be an obvious choice to start with. At last! TG-16 games to be released on WiiU Virtual Console! No lets get the Wii Virtual Console games onto the WiiU, it needs to happen! As noted by many others, this is probably the NES version, but... if this is the TG-16 version, I strongly recommend it. No nostalgia attached: I first played it on the Wii Virtual Console. Gameplay is solid, character design is excellent... it's just really, really good. 'bout danged time we get some Turbo on Wii-U!!! I remember this as BC-Kid on Amiga. One of the better platformers, and the Amiga version have great music. Remember when there was gonna be a new game on the Wii? I do, too. @NintendoFan64 Yeah, I was wondering that too. The whole new Bonk HD game that was to come on Wii, PS3 and 360 that never made it. I also remember a Chucky game that was to come to PS3 that never did, and some other games that were to come to the Wii that never did. I wondered what happened to the new Bonk game, or did Alien Crush Returns flop that they decided not to? Never really liked Bonk games, I can get into Airzonk though. Not really excited for Bonk, but if this means TG-16 games are coming I'm all for it. Got to get Lords of Thunder on the Wii U pad. Given only a fraction of the PC Engine Wii VC from Japan ever got released elsewhere (the catalogue rivals the NES, amazingly enough) I won't get too excited, but I did get a few games for my UK Wii that I'd happily pay the Wii U upgrade toll for. Alien Crush and Devil's Crush please! I wonder if this is for the NES. Anyway I love this game, so much fun and must own. this is pretty kool news but i already have all 4 Hudson Gamecube collections so im going to pass but i would like to see Bonks return in the future! @Angelic_Lapras_King @Ootfan98 @GLA Once you try to install your 301st title a message pops up about the menu being full, with a link to the Data Management setting. It is on the electronic manual apparently. I wish I'd read it before I started buying digital downloads instead of discs. @AlphaOmega The NiGHTS HD remake isn't even a Saturn game. It's the PS2 version essentially. The problem is that the Saturn was a complicated mess for developers. Emulating it is a pain in the rear. I know PCs can do it very well, but keep in mind that took a long time. @faint Yes, everything was in folders which made it even more frustrating to find out about the limit. Is the NES version considered an inferior port? I'm just wondering if it is the NES version if players would be better off just buying the TG-16 version from the Wii Shop Channel, restore points and off-TV play be darned. @JLPick I'm guessing it's because Hudson Soft went out of business and was bought out by Konami. Hope about Castlevania: Rondo of Blood! @OorWullie You and me both. To date I still want to play Shining Force 3 and Panzer Dragoon Saga. And I would love that re-release they did of Dragon Force. I would prefer this on 3DS since I have it on Wii. And on my TurboGrafx. I really don't need another version on TV console. @BJQ1972 Thanks for the info. That's a bugger. Including Apps, I am up to 228. There are no TGX16 games on the wiiu. ergo, this is the NES version. Seriously, is not that bad. Don't be so goddamn whiney. 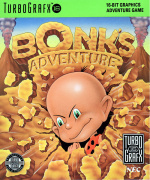 I had no idea Bonk's Adventure was also an NES game until today. This is what I mean about Nintendo!!! If they gave you the ability to add folders, then why the hell would they limit you to 300 downloads?? That's completely ridiculous!!! So there saying there's a limit to what you can buy???? Hating them more and more every Thursday!! Ahhhh!! @Mrclaycoat Yeah I got a base model TG-16. They don't seem to suffer from drying capacitors like the Duo models. Sadly the CD unit is notoriously expensive and out of reach at current prices. I've got a small handful of great CIB games including Bonk, Bonk 2, Alien Crush, Devil's Crush, Galaga '90 and a few others. Due to the high price tag on Turbo games, one of the first things I invested in was a Turbo Everdrive, which opened up the entire Hucard library, both US and Jap. Funny story but prior to the Wii launch in 2006, I didn't know the TurboGrafx even existed. I was like "WTH is TurboGrafx?" and then downloaded a few VC titles and got hooked on them. @Minotaurgamer there are in Japan and, according to the ESRB, it's the TG-16/PCE version. @Mario_maniac That's pretty interesting. I was thinking for sure it would be the NES version. I'm not hating against Nintendo or anything, it's just that when you compare the Western VC to the Japanese VC, it just seems like we will never get the extensive library. Shame Nintendo has no intention of adding new consoles to the 3DS VC lineup. Turbografx on Wii U? please!! @Mario_maniac I am surprised and relieved. I have been worried about the state of Hudson consoles though the Virtual Console service due to Hudson being bankrupt and Konami buying the company.